Legal London is nestled inbetween the political community in Westminster, and the business community based in the City. 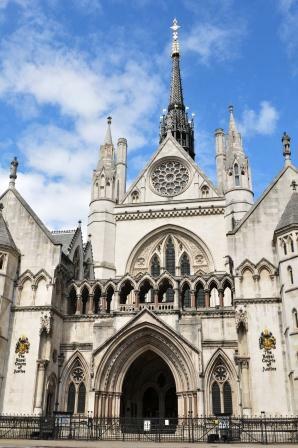 The Royal Courts of Justice hear the most important civil cases in the land, while down the road the Old Bailey acts as the Central Criminal Court for serious crimes that occur in London and across the nation. Close by these buildings, the four Inns of Court act as professional regulators for all of the barristers who practice in the UK. The legal community of solicitors, barristers, clerks and judges interpret and apply the laws of the nations, based on Acts of Parliament and precedence within the legal system. Pray for their decisions to be based on equity, fairness, and the justice of God. Pray for them to defend the poor and confront the unlawful.